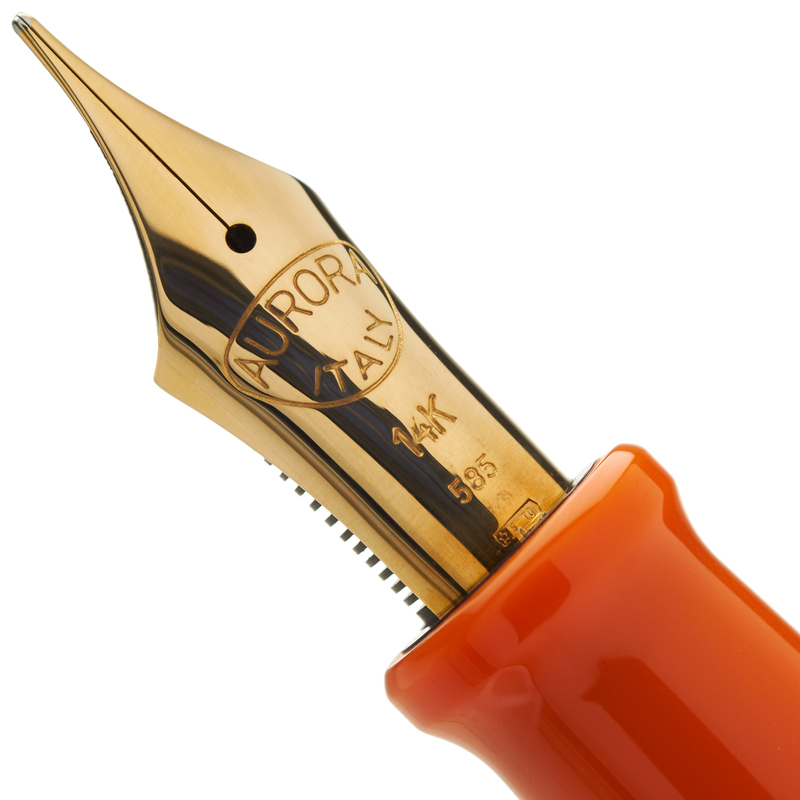 The Aurora 88 Orange Limited Edition is a part of a series of limited edition pens serving to introduce Aurora's new 14k Fine Flex nib. 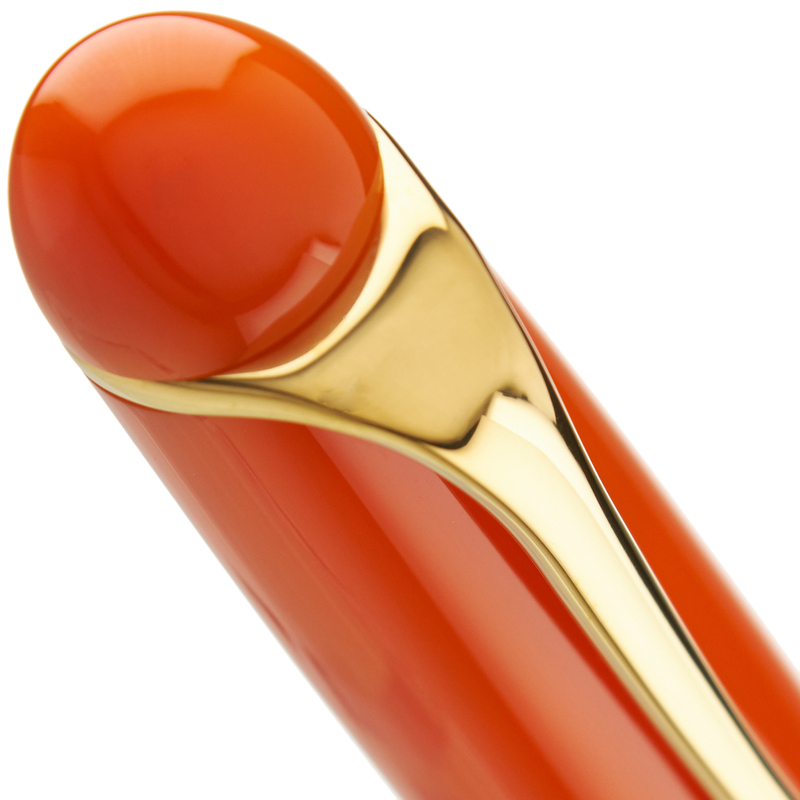 For those preferring a different tipping size, we can also offer this pen with your choice from among the full range of Aurora 14k solid gold nibs. Previous pens in this series have sold out quickly, so we recommend ordering soon to be assured of receiving the color you want! 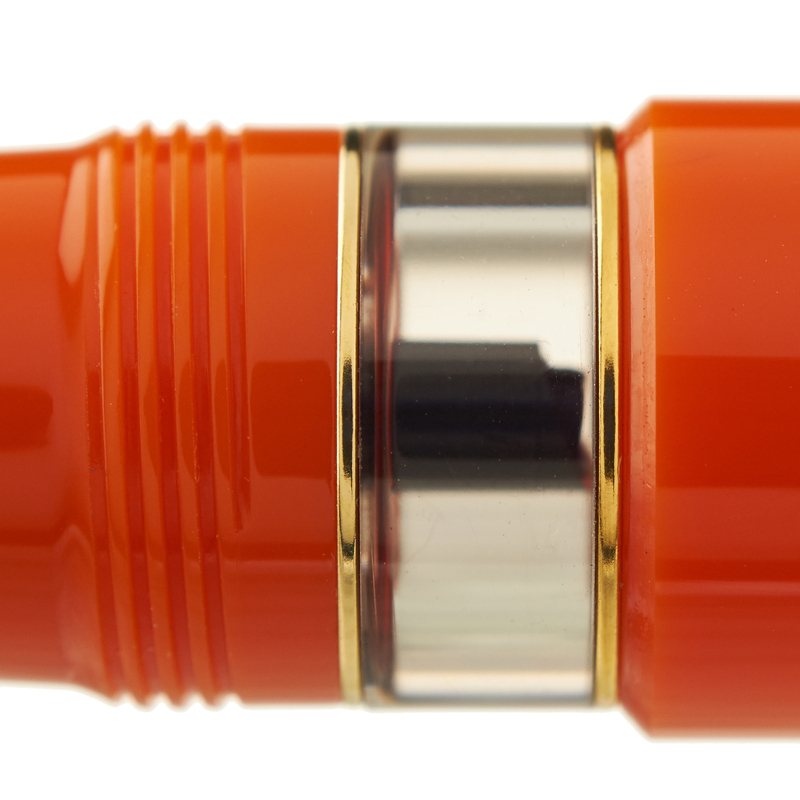 As with any pen you purchase from us, the 88 Orange Limited Edition qualifies for our complimentary nib set-up and optimization. 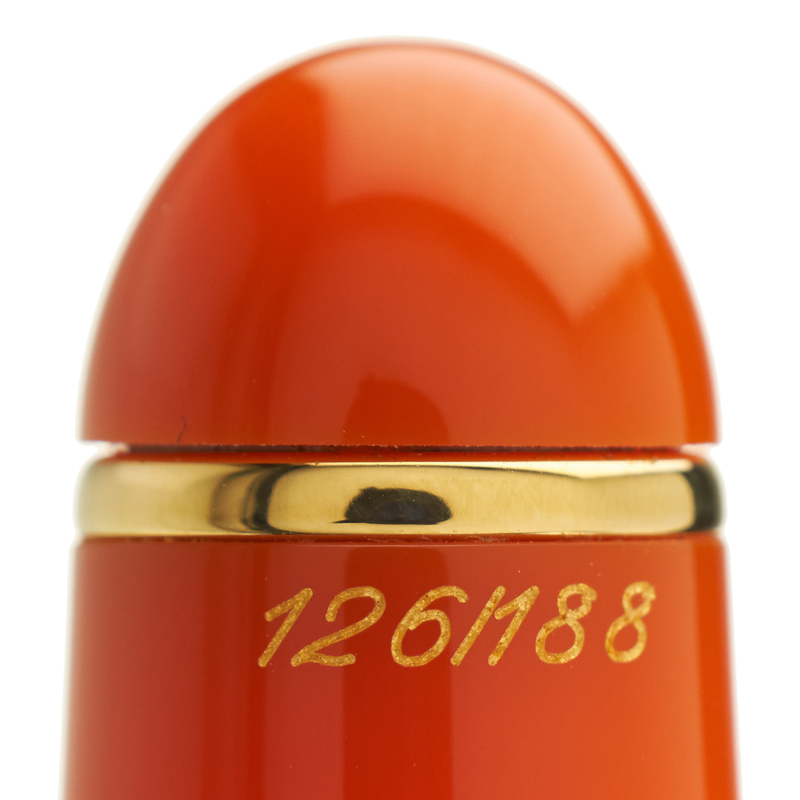 The Fine Flex nib is very well-suited for our well-known Spencerian modification, while other tipping sizes serve as excellent starting points for many other unique nib customizations - just choose from among the customization options offered after you select your nib. 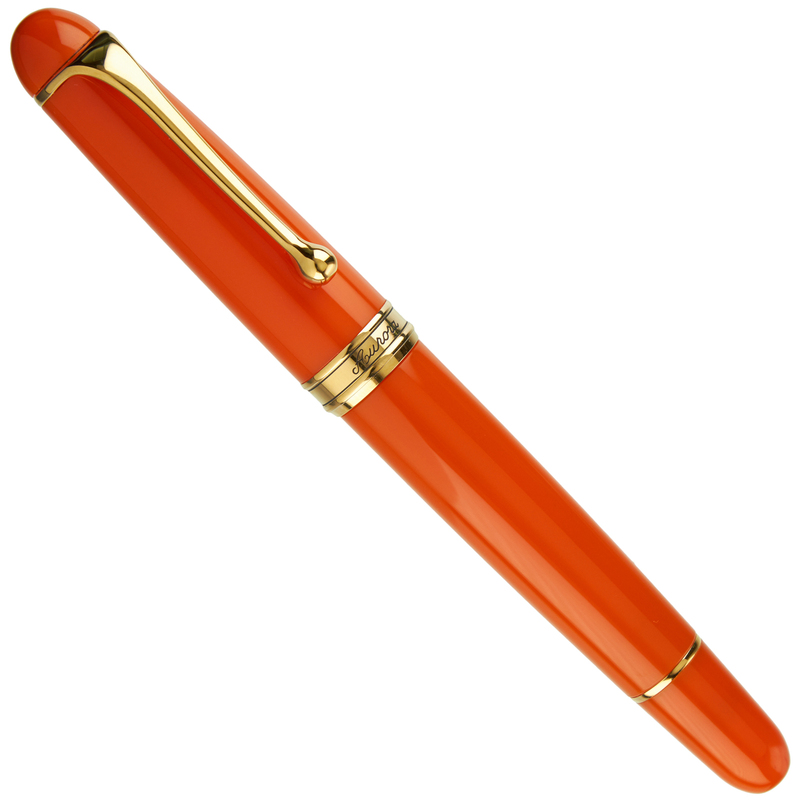 Just 188 numbered pieces of this pen have been produced worldwide. 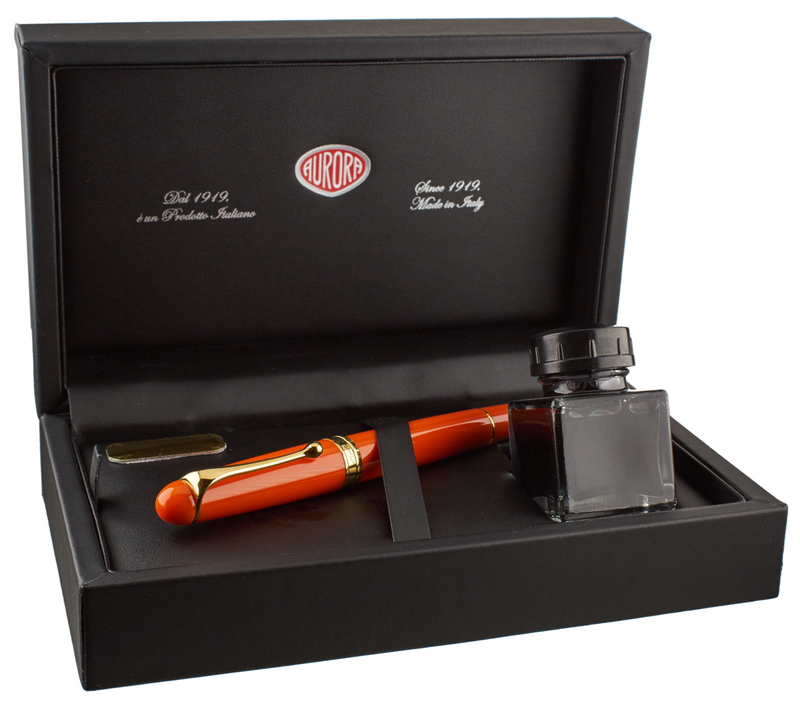 Each 88 Orange Limited Edition pen arrives in a special presentation box which includes a complimentary bottle of ink. The pen utilizes Aurora's reliable piston-fill system, which allows the use of any bottled fountain pen and provides for a generous capacity.